Obama: US committed to defending S Korea Jump to media player President Obama says the US has a commitment to defending South Korea, after North Korea fires artillery shells at an island near the disputed frontier. 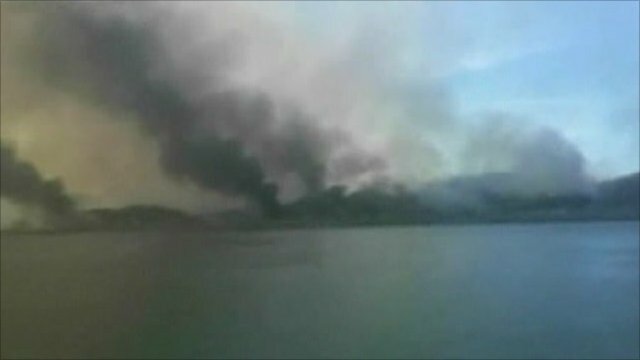 North Korea has been widely condemned for firing dozens of artillery shells at an island near the disputed frontier, killing two people. Speaking in an interview with ABC News, President Barack Obama said the US had a commitment to defending South Korea. He added he was not going to speculate on a possible US military response.